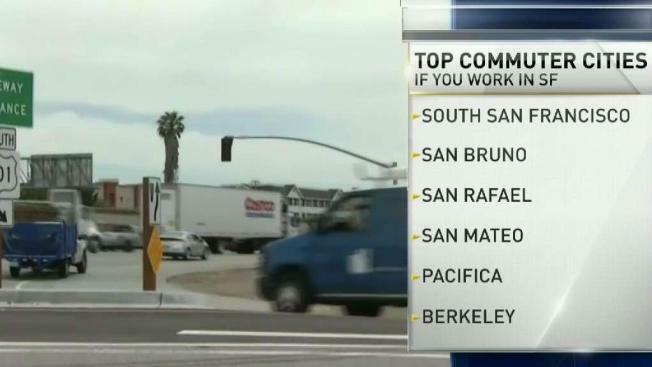 A new list is out: The best places to live if you commute to San Francisco. It's a familiar story: people work in San Francisco but can't afford the rent. So, they commute. In fact, more than 250,000 people do that. Now a new study by Property Shark shows the top 10 places to commute from. The study only looked at cities within a 20-mile radius of San Francisco and with 30,000 or more residents. The study considered travel time, home prices, schools and crime rates.